In societies without law, there are no rights. The weak are tyrannized by the strong. In the United States, we are quite lucky to have a vigorous legal system that – despite its many flaws – actively works to protect the victims of both crime and negligence. Personal injury law allows the victims of negligence to file personal injury claims and to seek compensation from the negligent parties responsible for their injuries. However, in contrast to criminal cases, a personal injury claim does not impose criminal penalties on the alleged wrongdoer (called the “defendant”). Rather, these cases involve a private “plaintiff” (the injured party) seeking compensation for the harm caused by a defendant’s negligence. Every personal injury claim has two basic issues: liability and damages. Was the defendant responsible for the damages you suffered, and, if so, what is the nature and precise extent of those damages? If you can prove liability and damages, our system of justice will award you with compensation for your losses. Here are some of the most frequently asked questions – and answers – about personal injury claims. 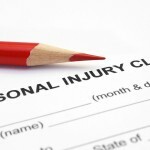 Q: What kinds of cases are typical personal injury cases? A: The largest number of personal injury claims are generated by traffic accidents, so traffic accidents provide a good example of how personal injury law works. All drivers have a legal duty to exercise “reasonable care” whenever they are behind the wheel. When a driver breaches that duty to exercise reasonable care, and you are injured as a result of that breach, the law entitles you to full compensation for your medical treatment, lost wages and earning capacity, and all other injury-related expenses. Traffic collisions are the most common incidents where negligence can result in personal injury, but any personal injury caused by someone else’s negligence may be the focus of a personal injury lawsuit. In southern California, if you are injured by a defective consumer product, in a swimming pool accident, by a biting dog, by falling merchandise in a store, by food poisoning, by slipping and falling on private property, or by an incident of medical malpractice, discuss your legal rights and options with an experienced Orange County personal injury attorney. Q: Is there any basis for a personal injury claim other than negligence? A: Yes. The legal doctrine of “strict liability” is a growing field of personal injury law. Strict liability holds product manufacturers and designers “strictly” liable for injuries that are caused by using defective consumer products. In strict liability cases, the injured plaintiff does not have to prove that the product’s manufacturer was negligent. Instead, a plaintiff must prove that the product was manufactured or designed or in such a way that it was unreasonably hazardous if used as intended. Intentional wrongs can also be the basis for personal injury claims, although these cases are less common. If someone slaps you, for example, you may be able to file a lawsuit against that person for battery. If a police officer wrongly uses excessive force to arrest someone, the officer may be sued for police misconduct. While those committing such intentional actions may face criminal charges as well, if you suffer injury or damages as a result of such an intentional action, you may file a civil claim entirely separate from any criminal prosecution conducted by the state. Q: What happens if I file a lawsuit? A: When you file a personal injury lawsuit, you are the plaintiff, and the person who allegedly injured you is the defendant. Attorneys for each side begin gathering facts in what’s called the “discovery” process. Discovery may include answering written questions (called “interrogatories”) or answering questions in person and under oath is sessions called “depositions.” During and after the discovery process, many personal injury claims are settled by the attorneys in out-of-court negotiations. Only a few personal injury cases actually go to trial. Q: What kind of award will I receive if I win a personal injury case? A: If your personal injury claim prevails, you will receive money called “damages” in a negotiated settlement or in an award from a judge or jury. Damages may include reimbursement for current and future medical bills and lost wages. Damages may also compensate you for current and future physical pain and emotional suffering and for what the law calls the “loss of enjoyment of life.” The specific amount you may receive will hinge on the nature and extent of the injury or injuries involved. If your injury requires extensive dental work, you may need to look into a Guide to Discount Dental Implants in NYC. Q: What is “settling” a case? A: Settling a personal injury case means that you agree to accept money in return for dropping your claim. 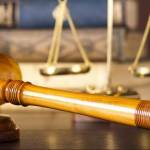 A case may be settled at any point before or during a personal injury trial. If you “settle,” you will sign a document releasing the defendant from any further liability or legal action. In southern California, an experienced Orange County personal injury attorney can give you a frank assessment regarding the chances of your claim prevailing and can advise you to accept a settlement offer or proceed to trial, but the final decision to accept or reject a settlement offer is yours alone as a personal injury plaintiff. Q: Will the person who injured me be punished? A: No, no one in a personal injury case is punished in the sense of criminal punishment. The defendants in civil personal injury cases do not receive jail or prison sentences, probation, or stiff fines paid as penalties to the state. In civil disputes such as personal injury cases, judges or juries in some cases may award a defendant what the law calls “punitive” damages, but punitive damage awards are frankly quite uncommon. 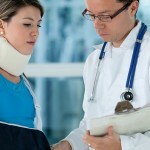 Q: How quickly after an injury does a personal injury lawsuit have to be filed? A: Every state’s laws set time limits, called “statutes of limitations,” on the amount of time you have to file a personal injury claim after you’ve been injured. In some states, you only have a year. For most personal injury claims in California, the statute of limitations is two years, but don’t wait two years to take action. Evidence can disappear and the memories of witnesses can fade quickly, so if you are injured by negligence, put a good personal injury lawyer on your case as quickly as possible.